When you’re building to Code for Sustainable Homes Code 5* you can expect a great deal of interest from students as well as the construction industry in general. 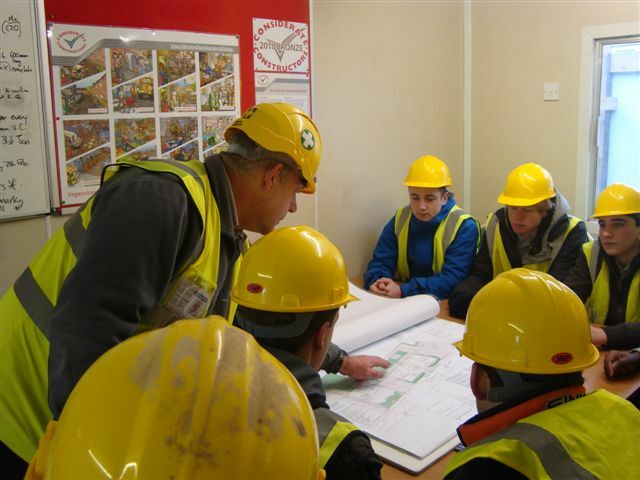 Robert Woodhead Ltd is committed to engaging with the local community and regularly involves students in activities such as site visits and hands on activity days. One initiative, the apprentice for the day scheme, enabled 12 students to practise and improve their skills in a heritage skills workshop at Kelham Hall. As part of the visit, Alistair Taylor and Michael Broadhurst, both Project Co-ordinators from Robert Woodhead spoke in depth about the project. Michael completed all the research and also compiled the information for submission needed for Code 5.
level 6 – zero carbon.